A sweet cookie that is so soft it melts in your mouth! 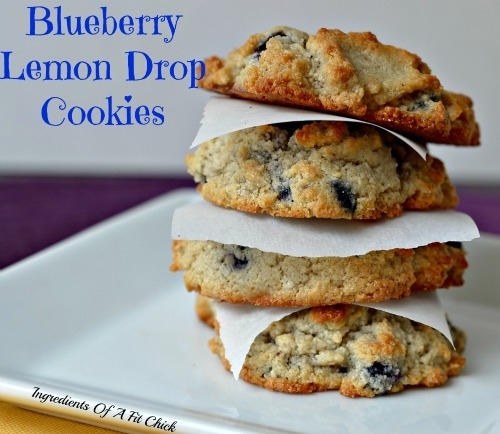 Mix together all ingredients except blueberries and lemon zest. Gently fold in blueberries and zest. Evenly divide batter on parchment paper. Please note that I used cashew flour from Trader Joe's and Lemon Zest in this recipe. Please head to the website:www.ingredientsofafitchick.com for more accurate ingredient list.